Photographic Story During my time in the Cadaqués region, I was impressed with the diversity of the landscape. I didn’t realize that this was a desert and would have cacti just like the deserts back in California. 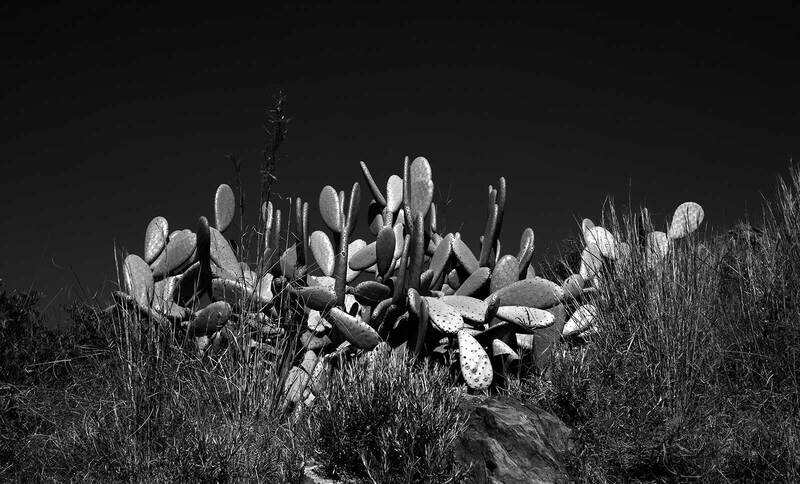 There wasn’t a cloud in the sky and the cacti were illuminated by the sun, standing out against the dark blue sky. Digital – Archival Pigment Print This photograph was taken with a high-quality digital camera. The photograph is printed on an Epson Stylus 4800 or 11880 printer. Clyde uses archival Ultra-chrome K3 i and prints on archival Harman Hahnemuhle paper. The limited edition photograph is then mounted and matted to current archival standards. This is a limited edition series and each photograph is numbered.